Lighting up New Westminster for Winter…. 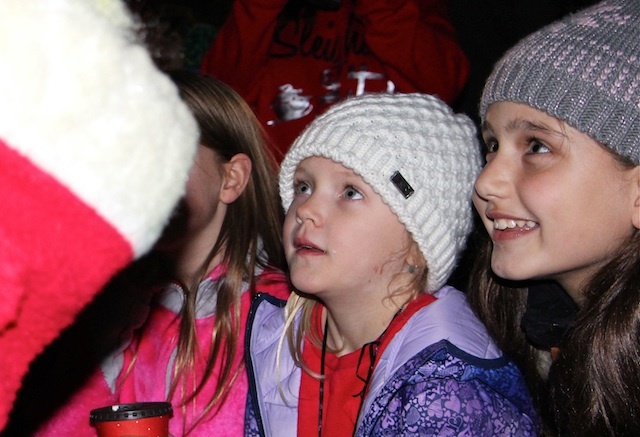 Dec. 4, 2018 ~ A special grouchy guest showed up at École Herbert Spencer elementary school last week as students, families and the community shared the launch of the winter season with a movie, popcorn – and the celebratory lighting of New Westminster’s giant Western Red Cedar tree. The community packed the gym for a showing of Dr. Seuss’ “How the Grinch Stole Christmas” – before being surprised by the Grinch himself, who appeared in the halls of the school before leading the crowd outdoors. It turned out the famous grouch showed up to not to steal Christmas, but to help turn on the lights of the city’s iconic tree, at the corner of Second Street and Sixth Avenue, for the 18th year in a row. For kids involved, it was a magic moment. For Amber Orchard, president of the school’s Parent Advisory Council, it was a great event helping raise more than $1300 in support of school programs and Christmas hampers for school families. “First Light is a feel-good event all around – and a great way to kick the season off,” said Principal Suzanne Cameron. The season is being celebrated across the district with music, song and dance. 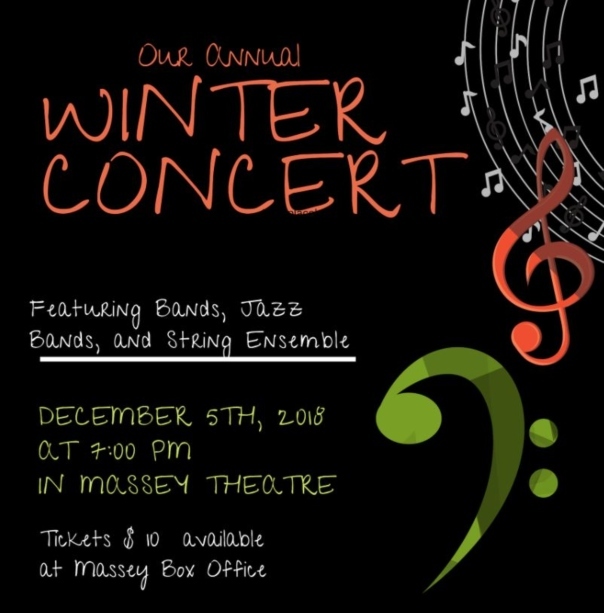 During the first week of December alone, there were band concerts with grade 7 and 8 students at Fraser River Middle School, a Talent Show at École Glenbrook Middle School, and an evening performance of the NWSS Winter Band Concert at Massey Theatre, the school’s major event of the year. Daytime winter celebrations are taking place throughout the month at most schools. Evening performances include a Christmas Concert Evening at École Qayqayt elementary school on Dec. 6th at 6:30 p.m., as well as four performances on December 13th — at both École Lord Tweedsmuir and Connaught Heights elementary schools at 6:30 p.m.; a performance at 7 p.m. at Queensborough Middle School; and an event with Richard McBride elementary school at Massey Theatre at 7 p.m.
Coming up December 14, the New Westminster Secondary School Winter Choral Concert will start at 7 p.m. at Queen’s Park United Church. Tickets are $8 and available at the door. On December 18th, three events in the evening are taking place, with Lord Kelvin Elementary School Primary Choirs at 6:30 p.m., the École Glenbrook Middle School Band Concert at the school at 6:30 p.m. and the New Westminster Secondary School Dance Show at 7 p.m. at the Massey Theatre. Finally, on December 19th, F.W. Howay elementary students will share a winter concert at 6:30 p.m. and Lord Kelvin elementary students will host a choir and play at 7 p.m.